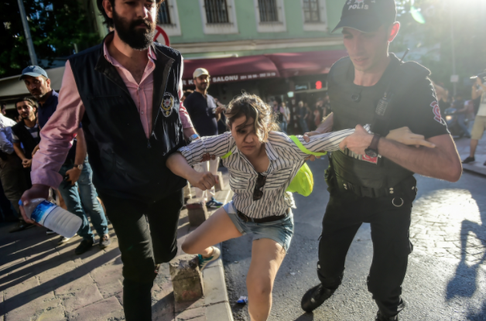 Source AFP - Des policiers anti-émeutes turcs bloquent l'accès à l'avenue Istikjlal aux marcheurs de la Gay Pride, le 25 juin à Istanbul. In response to the ban of all lesbian, gay, bisexual, trans and intersex rights groups (LGBTI) events in Ankara, Turkey we express our indignation. The ban which seems to apply to all LGBTI film screenings, theaters, panels and exhibitions, for an indefinite period, was allegedly imposed to protect public security, and the LGBTI community, against possible aggression of other groups. Authorities fear that some groups may be provoked by LGBTI events and take action against participants because of certain social sensitivities. The Council of Europe standards and mechanisms promote and uphold the human rights of all, including the equal rights and dignity of all human beings, including lesbian, gay, bisexual, transgender and intersex people (LGBTI). Resolution adopted by the Human Rights Council of United Nations on 30 June 2016 32/2: Protection against violence and discrimination based on sexual orientation and gender identity. 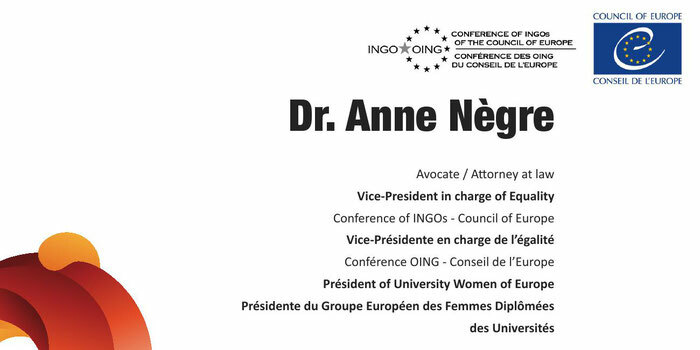 We strongly deplore acts of discrimination committed against individuals because of their sexual orientation or gender identity in all Member States of the Council of Europe. Lesbian, gay, bisexual, transgender and intersex persons should fully exercise universal human rights. Turkey, as a Member State of the Council of Europe, have to protect their fundamental rights according to the Treaties, Conventions, Resolutions Recommendations of the Council of Europe. Prima facie the new rulings seem to be arbitrary and violate the long established international- and by the European Court of Human Rights accepted rule that sensitivities among opposing groups and even the threat of counter actions (so-called hecklers veto) can never be a reason for indefinite prohibition of freedoms guaranteed in the ECHR, especially the freedom of expression. The unconditional prohibition in the whole of Ankara for an unlimited period of time, seems to be evidently disproportionate. We call upon all authorities not to slide back in to the dark era where people have to hide who they really are. We plead to annul the rulings that might incite and legitimise aggression against LGBTI, which that once felt free and proud in Turkey.